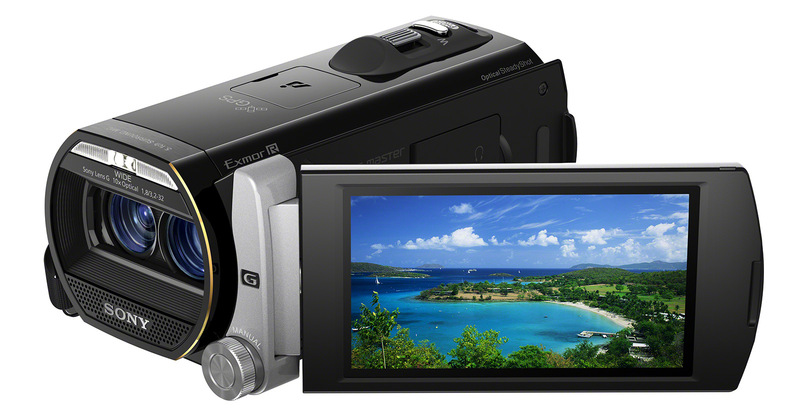 At the 2012 CES Sony has announced a new more compact 3D-capable consumer camcorder in the form of Sony HDR-TD20V, a camera apparently based on the last year’s HDR-TD10, but with reduced size in order to make it more compact. According to Sony the new HDR-TD20VE is around 66% of the size of its predecessor, and while it is not bad to have the camera becoming more compact, there is something that suffers from the size reduction. I’m talking about the fact that the interaxial distance of the new model (Sony HDR-TD20V) has been further reduced to about 21 mm, and while this makes it more suitable for shooting closer things in 3D, if you shoot more distant things they will be looking flatter than with the older HDR-TD10. The new Sony HDR-TD20V apparently is also not capable of recording 3D photos, you can capture only 2D photos with even higher resolution than with the older model (HDR-RD10) that also was not capable of taking 3D photos. The new model HDR-TD20V is also only capable of recording in 50i/60i (depending on region) 3D mode, so still no 24p 3D recording option… or with order words Sony just made the 3D camera more compact and with a bit smaller interaxial, there is not much improvement in the functionality it offers. The Sony HDR-TD20V should be available on the market around the end of March this year with the same price as the Sony HDR-RD10 is currently available at. Earlier this year when JVC has announced during NAB 2011 their JVC GY-HMZ1 3D ProHD Camcorder the company has stated that it should be available on the market with a price of less than $2500 USD, but now that the 3D camcorder is actually available the price looks even more attractive. The JVC GY-HMZ1U ProHD 3D camcorder has an official list price of $1995 USD, but you can actually purchase it with a price closer to $1700 USD (if you live in the US that is). 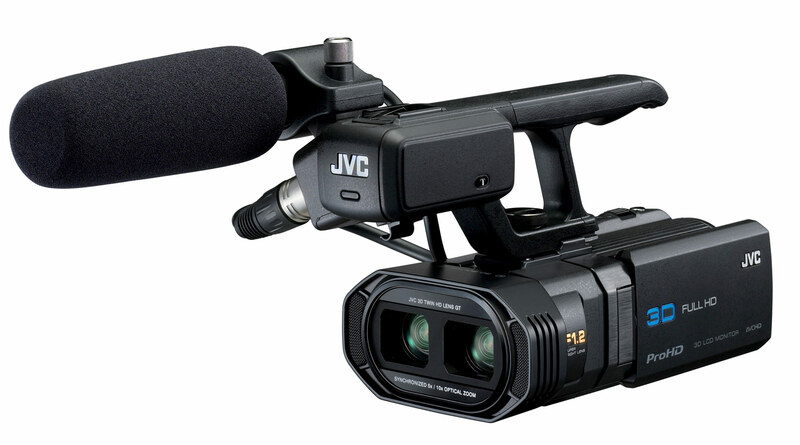 The new JVC GY-HMZ1 3D ProHD camcorder is actually based on the not long ago announced consumer 3D camcorder – JVC GS-TD1, with pretty much the only difference being the fact that the HMZ1 version has support for 24p 3D recording mode as well as dual XLR microphone inputs. JVC has also announced that the consumer GS-TD1 model will be getting a software update by the end of the year, so it may also get 24p 3D mode available at that time. But since the new JVC GY-HMZ1 3D ProHD camcorder is not much more expensive you may also get that feature even now to make your life easier when editing and exporting the 3D video recorded with the camcorder. The only problem with the JVC GY-HMZ1 3D ProHD camcorder is the fact that since it is considered a professional product it may take more time to appear on some smaller markets or not become available at all, even if the consumer JVC GS-TD1 model is present there. – For more information about the JVC GY-HMZ1 3D ProHD Camcorder….